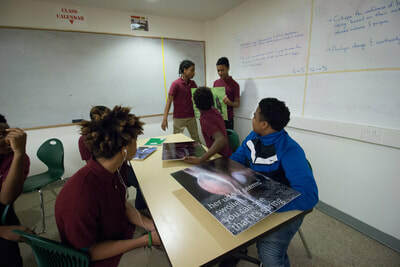 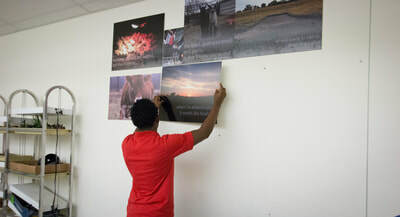 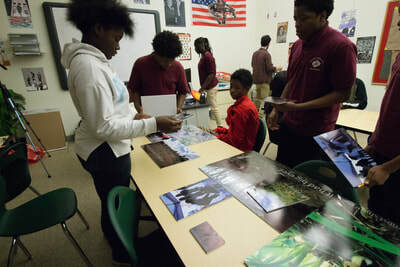 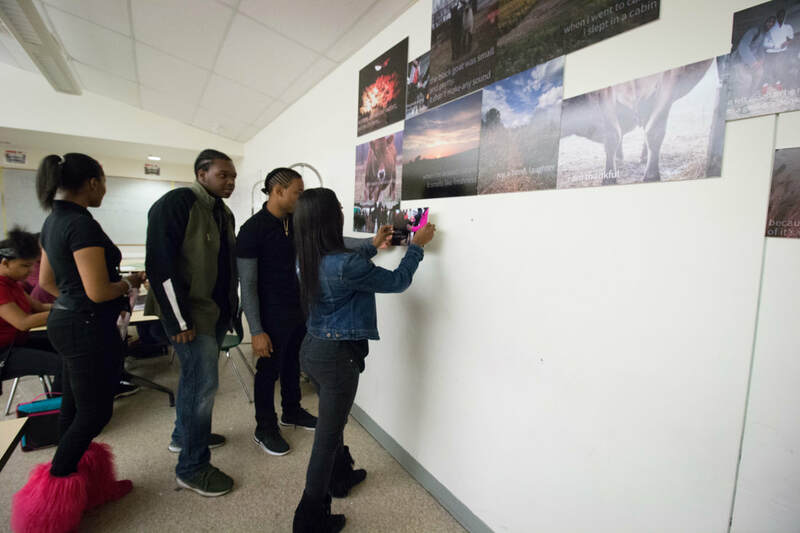 Connected Kingdoms is a community engaged project that spanned eight weeks and took form as interactive demonstrations, photographic installation, writing exercises, and hands-on workshops. 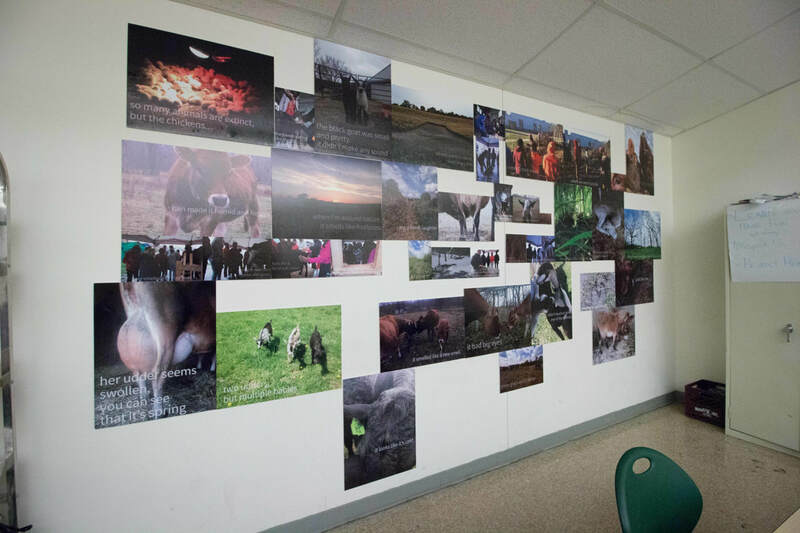 Programming surrounded the interconnected nature of the nonhuman living world, particularly it's relationship to domesticated species. 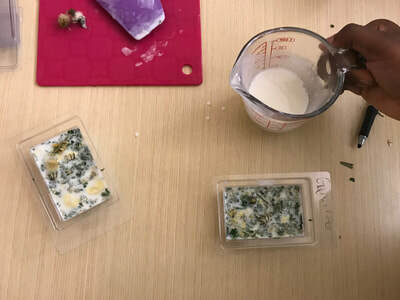 The project stems from the feminist ethics of care, in which intercorporeality, interconnectedness, process, and nature are necessary to flourish in our quickly accelerating modern world. 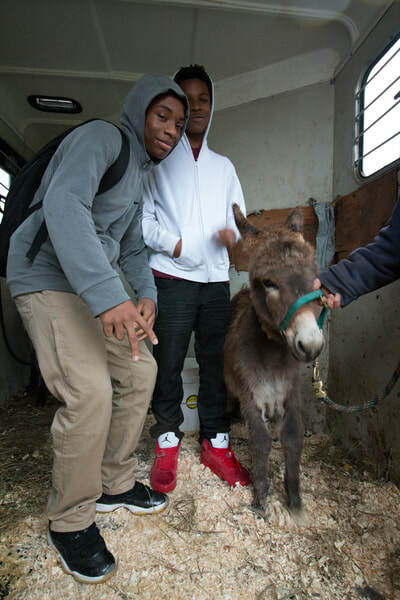 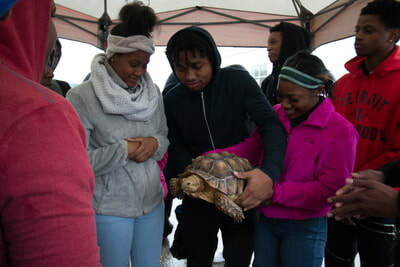 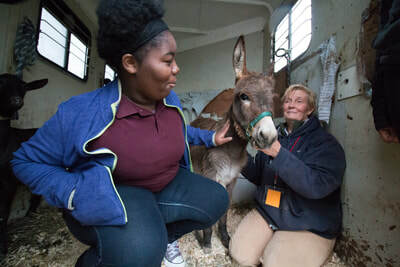 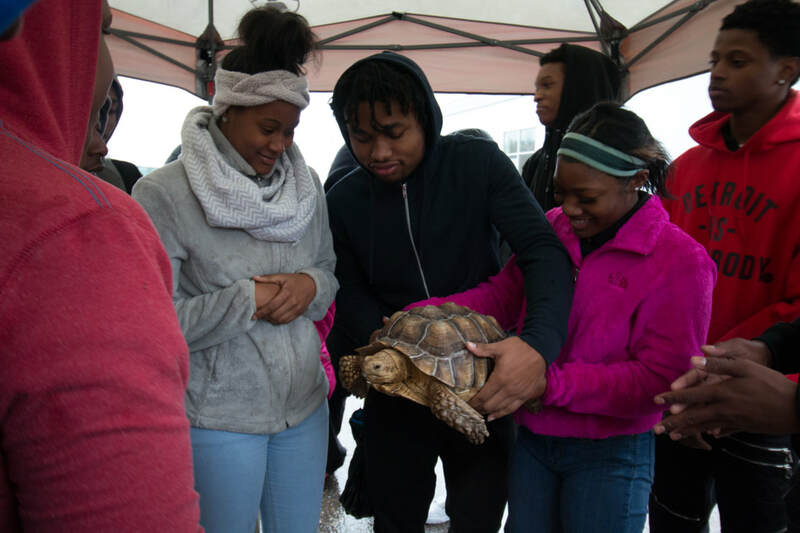 Ruth Ehman, owner of Firesign Farm, brought a milking stand and two of her goats (along with a Sulcata Tortoise and miniature donkey) to Brightmoor (Detroit Community School) for an afternoon of hands-on milking demonstrations. 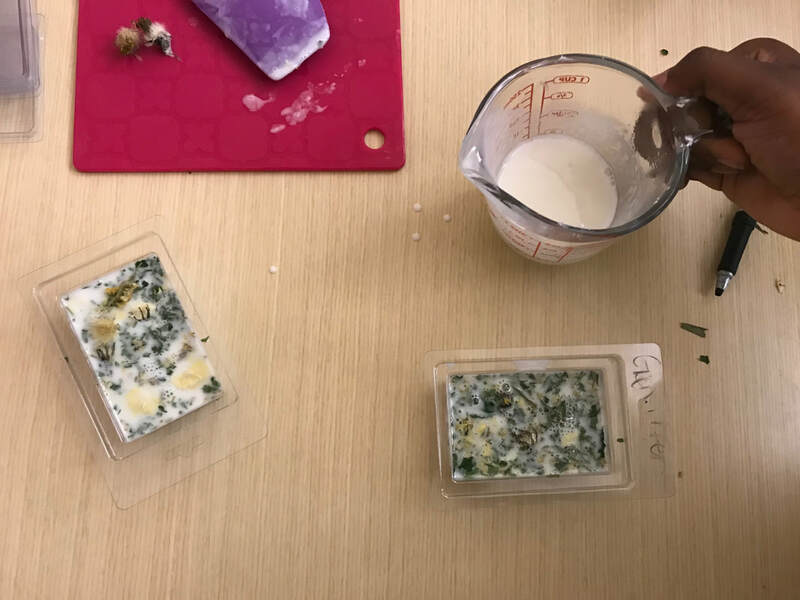 The students and I poured goats-milk soap with various Michigan dried herbs. 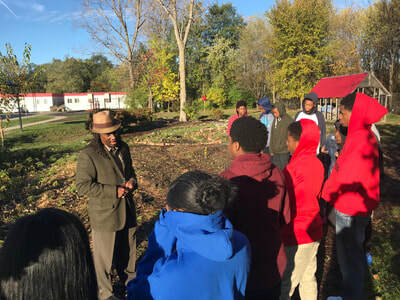 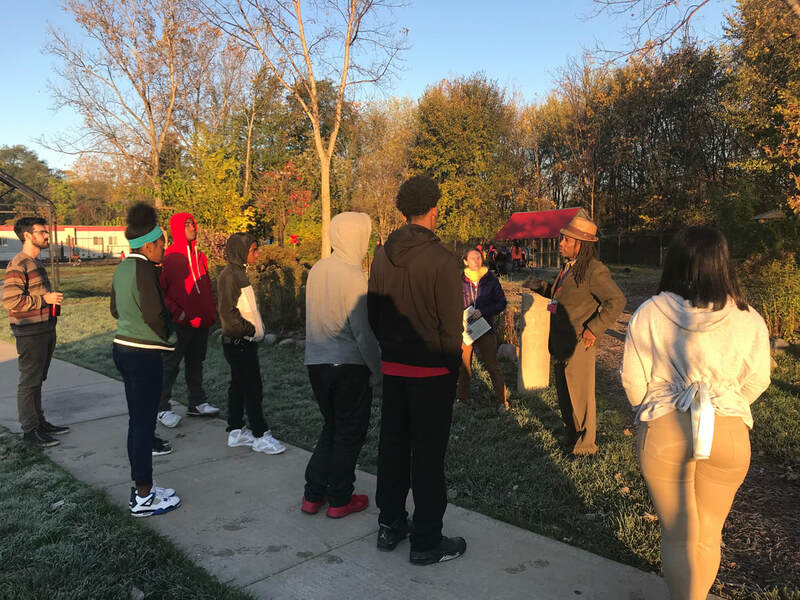 Dr. Jesse Brown, founder of the Detroit Holistic Center, took the students on a nature walk through the school property to identify the healing qualities of certain plants. He also discussed entrepreneurship with students, as he has successfully run an independent business in Detroit for over 20 years. 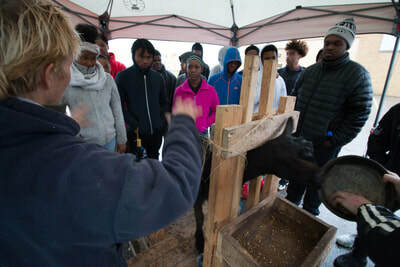 Brightmoor students mocked up barn hex designs to embellish typically-plain hoophouse coverings. 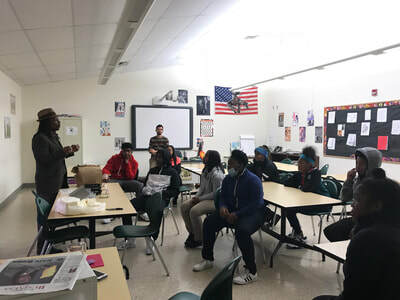 Brightmoor students did a poetry workshop based on their experiences. They were prompted to access their senses when writing and they later curated a photographic installation depicting agrarian landscapes and farm animals overlaid with their own writings. 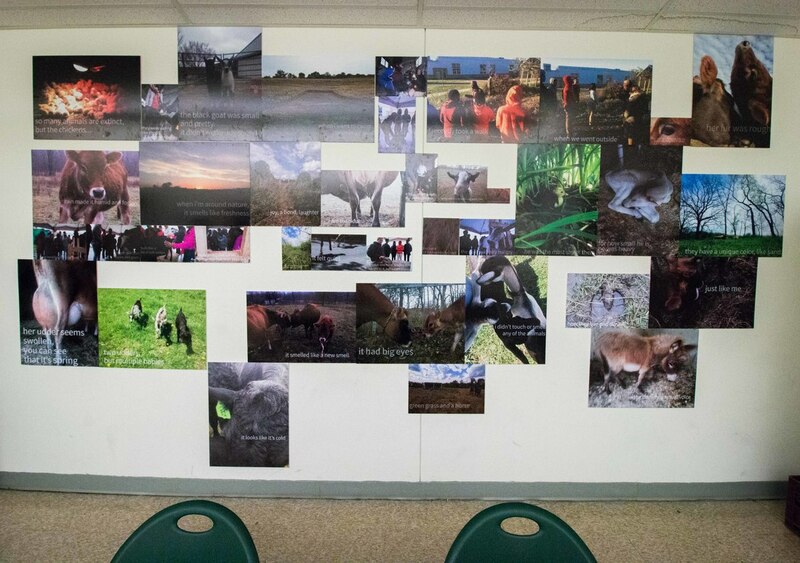 These images are photographic documents of the ephemeral event. It's intention is not to be wholly represented in photographic means. 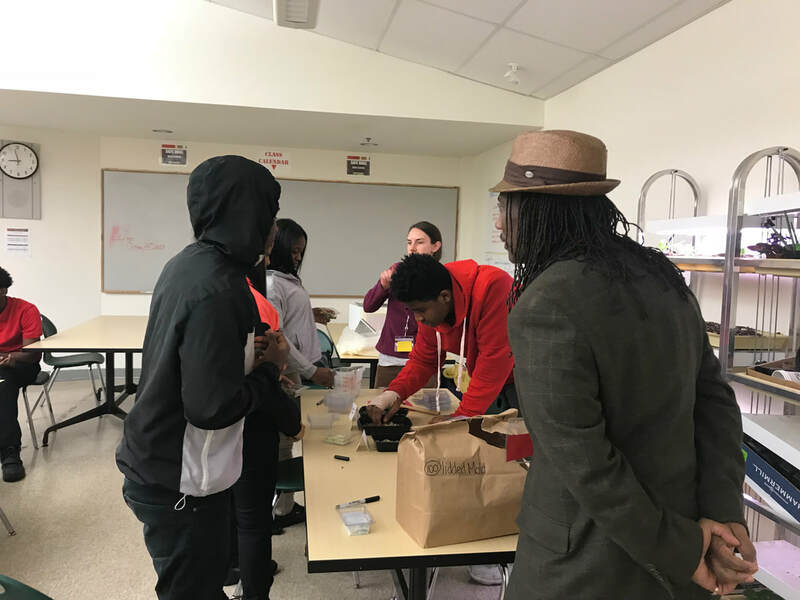 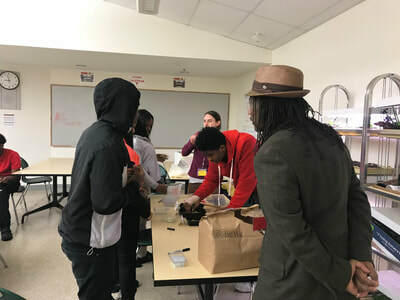 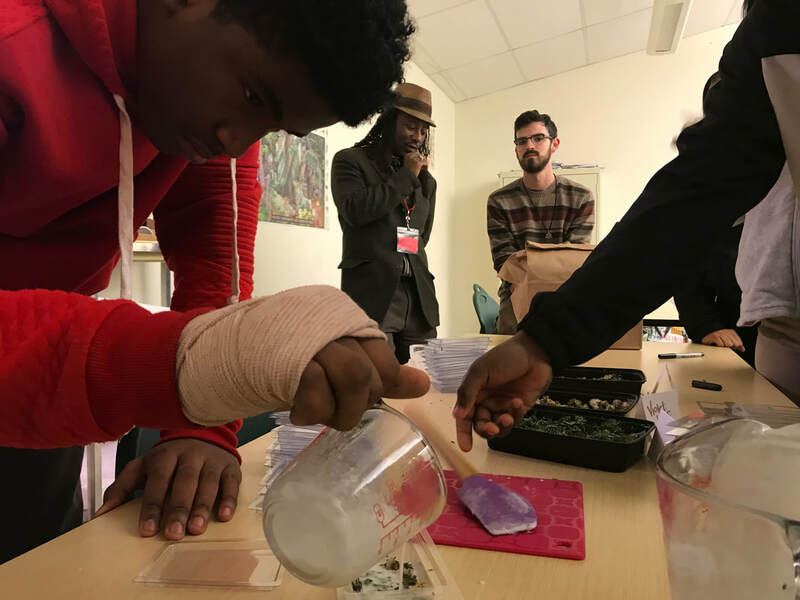 Special thanks to the students of DCH for their enthusiastic participation, and the Michele Schara Artist-in-Residence program, Laura Amtower, the University of Michigan, Dr. Jesse Brown and the Detroit Holistic Center, and Ruth Ehman of Firesign Family Farm. An additional thank you to SCS Image Group for their funding and continued support of the arts.